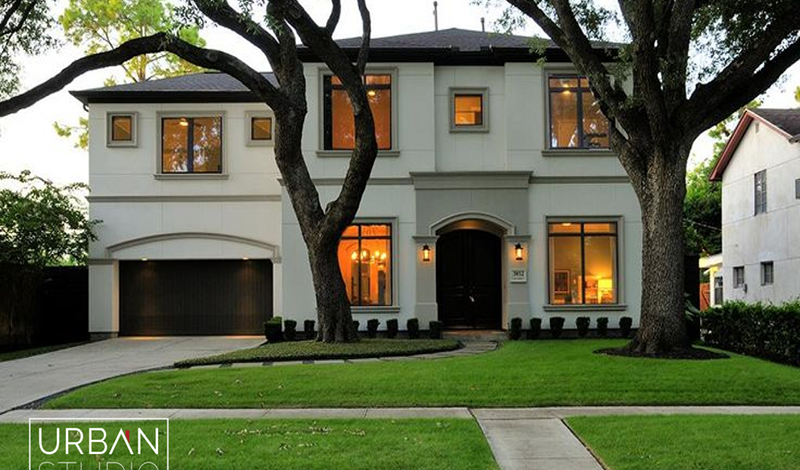 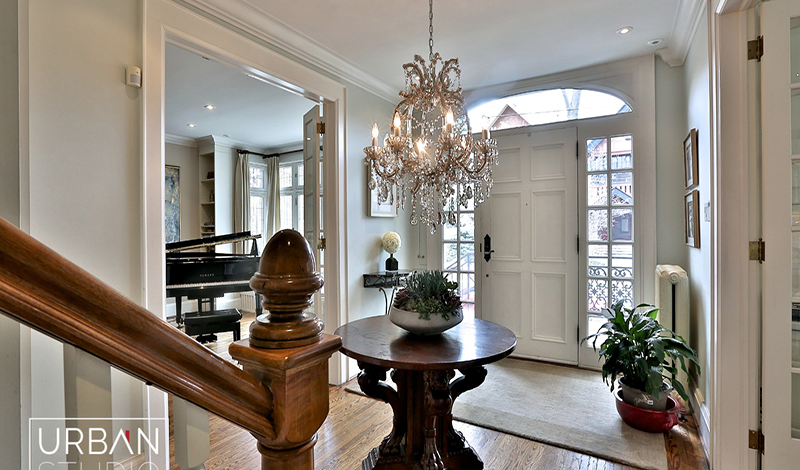 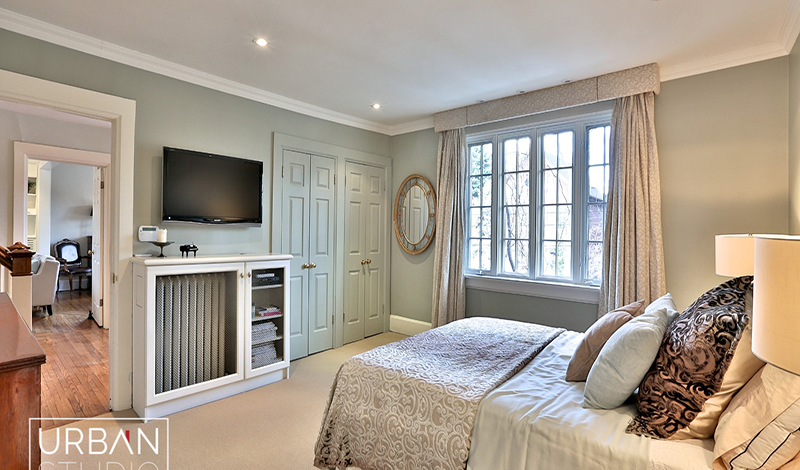 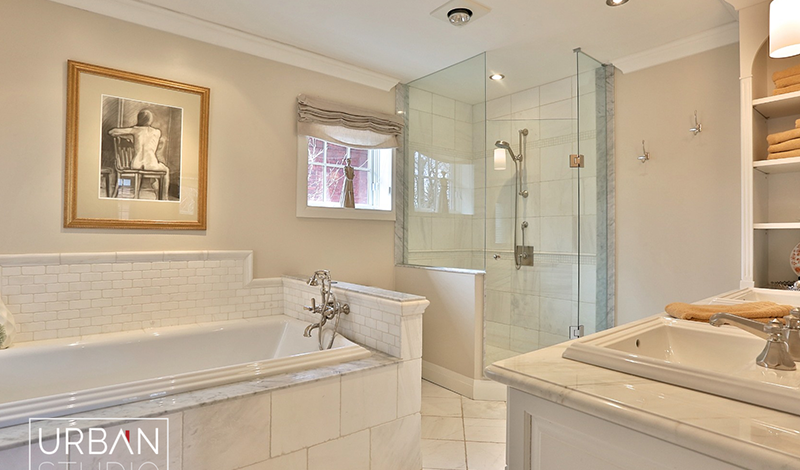 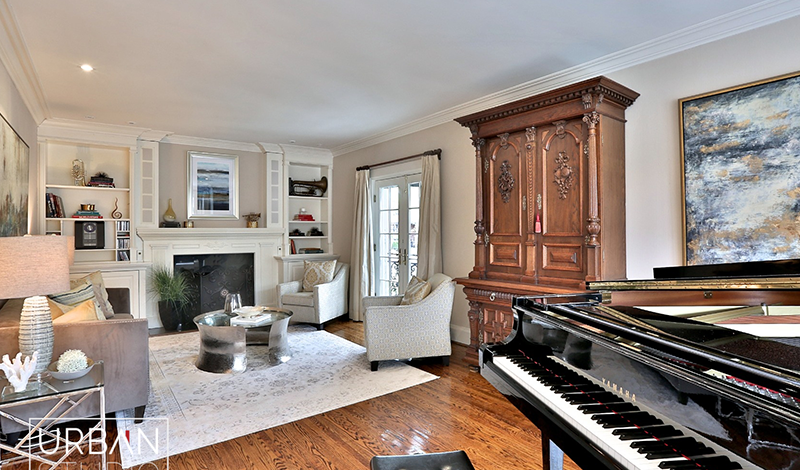 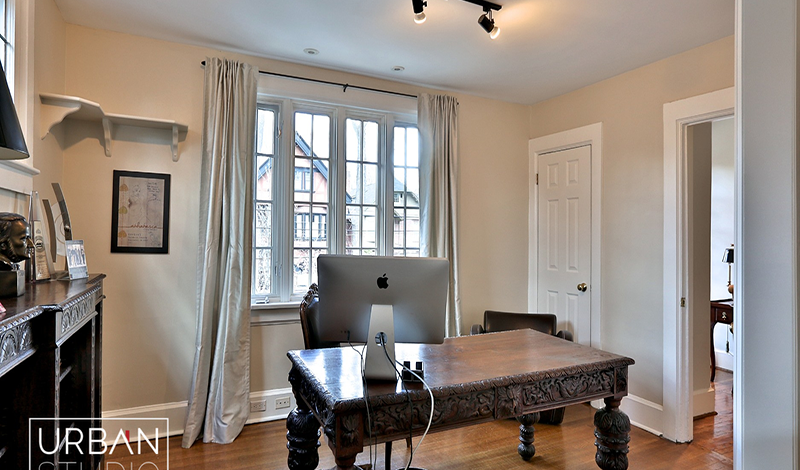 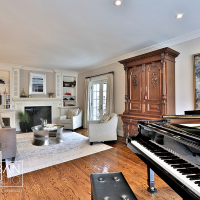 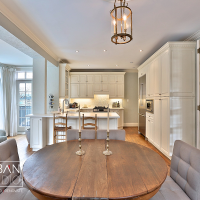 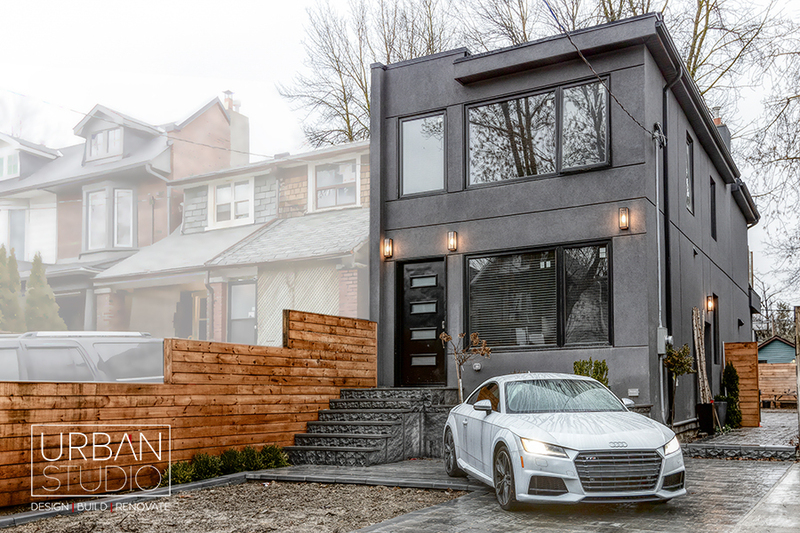 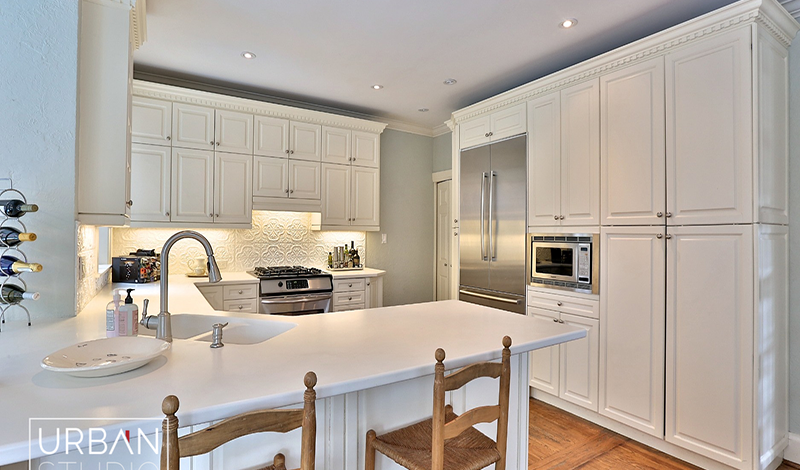 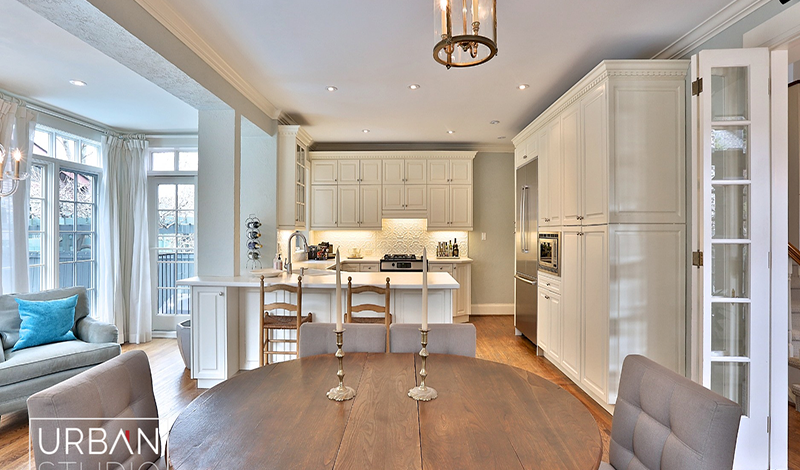 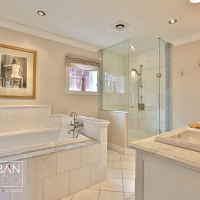 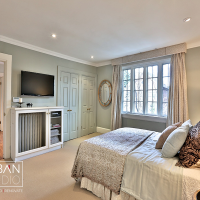 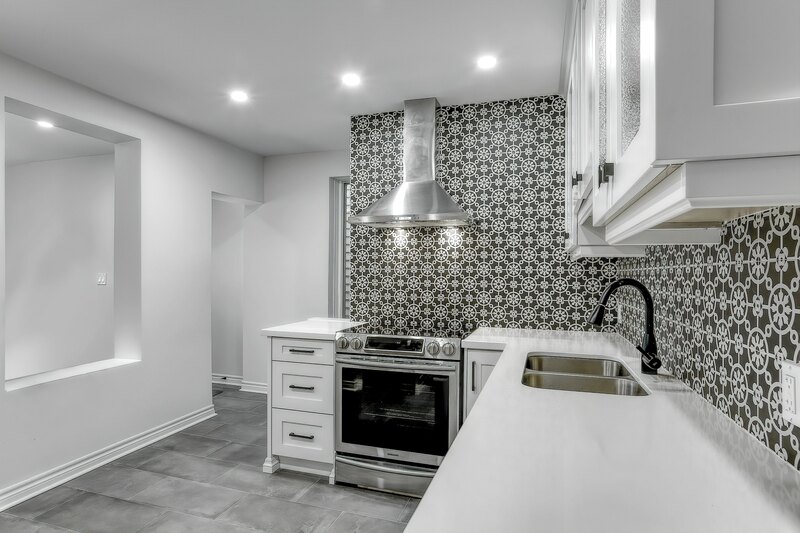 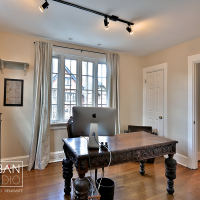 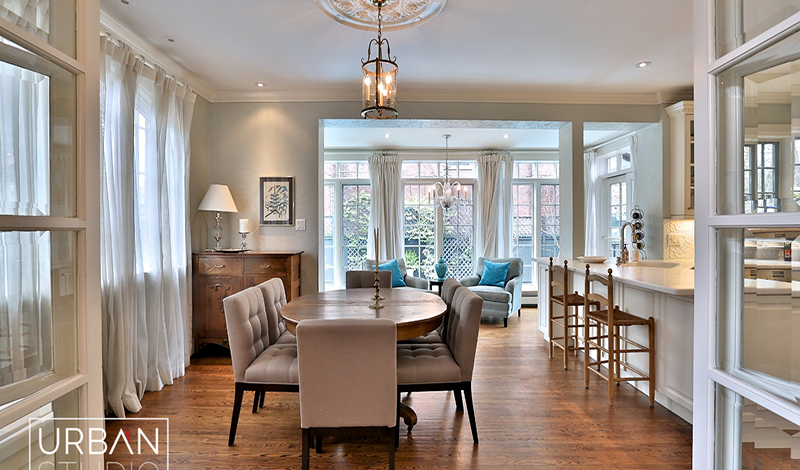 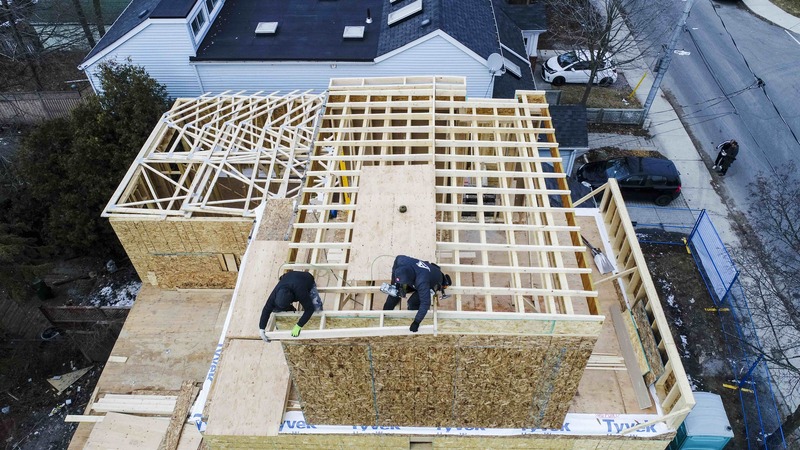 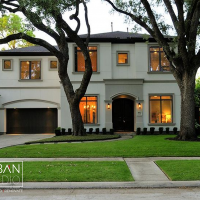 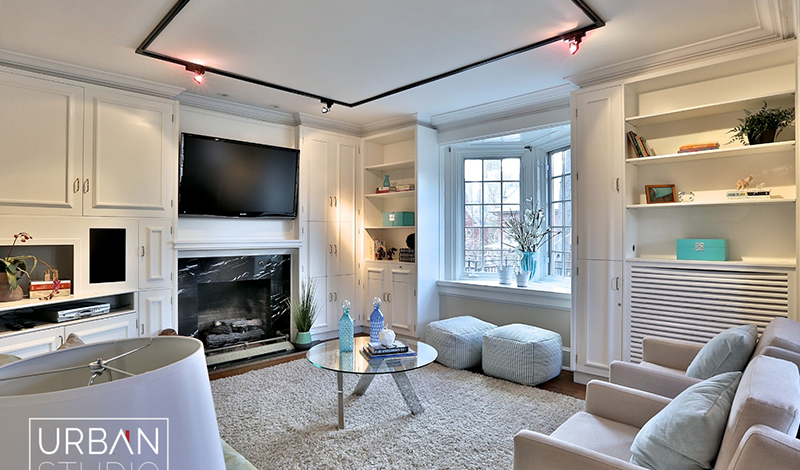 This beautiful custom home is located in the beaches neighbourhood of Toronto. 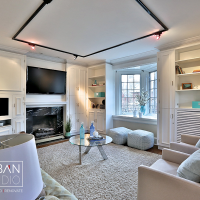 Urban Studio designed this home making use of an open concept design to make use of the smaller square footage for this home. 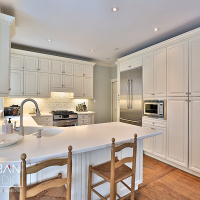 Quartz island countertop and back lighting the custom kitchen helps increase the visual space of the custom-built kitchen. 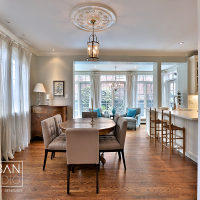 Glass back doors and lots of windows increase the natural lighting of the room making the kitchen a warm atmosphere to enjoy family meals in. 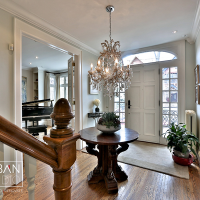 Custom oak staircase leads us upstairs to the master bedroom with custom built ensuite finished with a dark tile flooring, double vanity sinks and walk in shower.